(SKNIS): Companies and individuals looking to invest in a community developmental programme this summer may want to take a closer look at the Department of Youth Empowerment’s Annual Summer Residential Camp. The two-week programme is often considered to be one of the biggest attractions for persons between the ages of 8 and 16 years looking to have fun, learning a skill, and making new friends over the summer vacation. 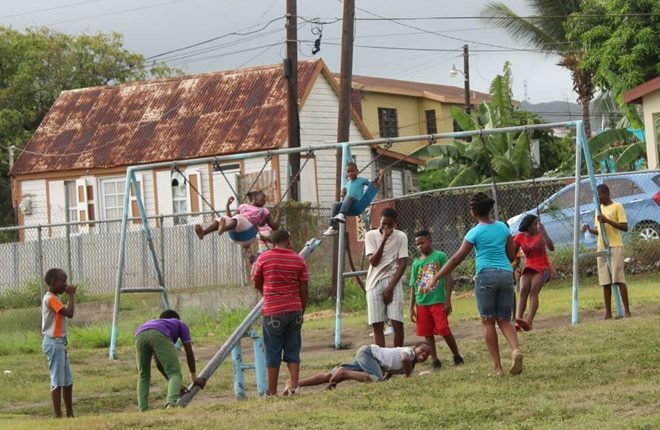 And with 200 people from various communities throughout St. Kitts and Nevis – and sometimes further afield – attending the camp, there are ample opportunities for a rewarding experience. Camp sessions often include traditional sports such as football and basketball, mixed in with art and craft, video filming, marching band, cheerleading, dancing, pageantry, agriculture, fruit design and more. There are also exciting activities such as a talent show, pool/water day, movie night, sports day, field trips, and camp banquet. However, it all comes with a hefty price tag. Acting Director of the Department of Youth Empowerment, Pierre Liburd, quoted figures from previous years and said that the recurrent expenditure alone runs to about $200,000. “It costs about $1,000 to house one camper for the duration of camp,” he stated, adding that each camper pays a registration fee of only $50. When multiplied by the 218 persons who attended last year, it produces a figure of $10,900, which is approximately 5.5 percent of the total recurrent cost. “It’s not cheap and we welcome the support of the business community, and the community itself to help us in offsetting the cost,” Mr. Liburd added. 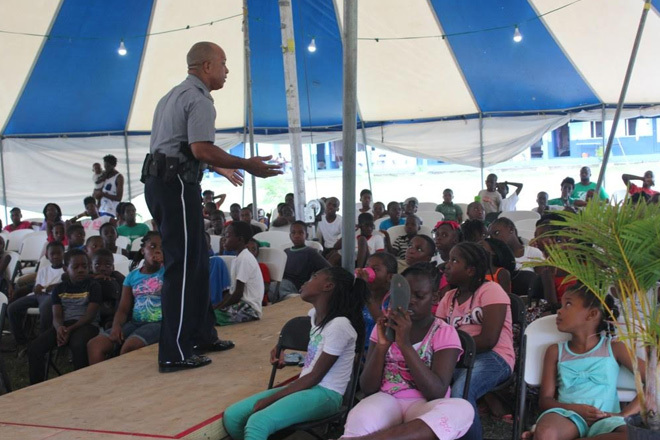 This year’s camp will be held from July 16 to 30 at the Beach Allen Primary School. The annual event receives full support from the Deputy Prime Minister and Minister of Youth, Honourable Shawn Richards. His Special Advisor, Vernon Connor, said several changes will be made this year that will help to further realize the main objective of the camp of being a positive development tool for young people at risk from negative influences. As such, guidance counselors in primary and secondary schools have been collaborating with the Department of Youth Empowerment to identify 100 candidates who can benefit from the exposure to a dynamic, educational and empowering programme of activities. The other 100 campers will be chosen from the open application process on a first come, first served basis. Mr. Connor thanked the public and private sector partners who have contributed in the past and have already confirmed support for the 2017 camp. He said persons or companies willing to lend time or resources to the summer camp are most welcome and can visit the department’s office on Church Street or telephone 467-1393. A special appeal was also made for volunteers who can assist in providing first aid/nursing service, counseling, and/or stay on camp to become dorm leaders. Dorm leaders are responsible for ensuring that the students under their charge, usually 10 to 15 young people, take part fully in the various activities and follow the camp rules.